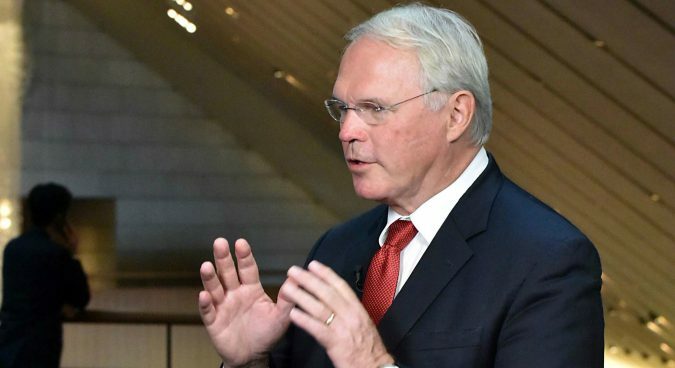 Former negotiator to Six Party Talks says Trump's understanding of DPRK issue "could be improved"
U.S. insistence that international sanctions will remain in place until North Korea fully denuclearizes is not a “realistic” position, a former top Bush Administration nuclear negotiator told NK News this week, arguing diplomats must be clearer about what Washington expects. Speaking in an extended interview at the 19th World Knowledge Forum in Seoul, Christopher Hill, who served as head of the U.S. delegation to the Six Party Talks on North Korea’s nuclear program in the 2000s, said current U.S.-DPRK talks were being undermined by a lack of clarity from both sides. “I don’t think the Trump policy of keeping sanctions in place until North Korea completes denuclearization is realistic. I think there needs to be a tight sequencing of actions by all parties,” Hill, who led negotiations in his capacity as Assistant Secretary for East Asian and Pacific Affairs at U.S. Department of State from 2005 to 2009, said. He also discussed his past role as a negotiator with North Korea, whether Kim Jong Un really intends to relinquish his nuclear arsenal, and South Korea’s position as a mediator between Pyongyang and Washington. NK News: Do you believe North Korean leader Kim Jong Un really wants to give up his nuclear arsenal, and do you believe he would exchange those weapons for assistance with economic development? Christopher Hill: No. I say no because I think it is better to say “no, not at this time.” But I think Kim Jong Un believes the nuclear program that he has is the best way to encourage the Americans to remove its troops from the Korean peninsula, and I think that’s what he is trying to do. And when he looks for corresponding measures from the United States, it’s not just about economic measures, I think he looks for the corresponding security measures – namely, the removal of U.S. troops from the Korean peninsula. 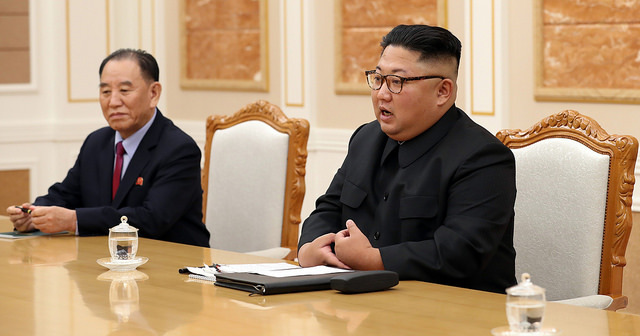 NK News: South Korean President Moon Jae-in and North Korean leader Kim Jong Un are eager to declare an end to the Korean War. Do you believe the prospect of USFK withdrawal is the reason why Kim Jong Un has pushed hard for this this? Christopher Hill: Yes. I think the declaration of the end of the war is something that they want to see because they believe it will assist in their argument that that U.S. forces need to leave. My impression is they think that the declaration of the end of the war will lead to the withdrawal of the U.S. troops. That’s certainly not the U.S. view, and I don’t think it’s the South Korean view, but I think it is the North Korean view. Our troops are there pursuant to our alliance with South Korea, not because of what happened in 1950. 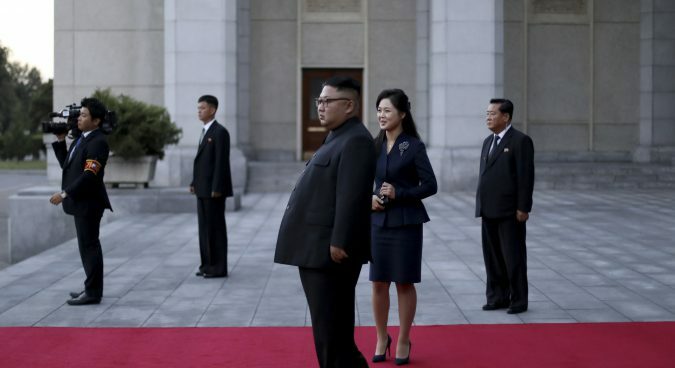 NK News: In your opinion, if Pyongyang asks the U.S. to withdraw their troops from the Korean peninsula, do you think the Moon administration or the South Korean government would agree to it? Christopher Hill: I think it’s speculative – we don’t know – but I think that’s a matter between the U.S. and the ROK. It has to do with our alliance. If North Korea is saying “we will do away with nuclear weapons, but we want to end the alliance between the U.S. and South Korea” I don’t think that’s their right. Our alliance is in support of each other. We are major trading partners, we have a lot of cultural, economic, political ties between South Korea and the U.S. It’s not for North Korea to tell us about our relationship with South Korea. NK News: North Korea has said it will allow inspectors into the Punggye-ri nuclear test ground and the Tongchang-ri missile engine test site. Do you believe that’s a reasonable trade for an end-of-war declaration? Christopher Hill: No. I think we need to get a full picture of the North Korean nuclear program – the full picture as provided in the declaration. Then we need to have some kind of idea of what would be a schedule for dismantlement. Unfortunately, the North Koreans have decided the schedule and decided what is to be dismantled. It is not pursuant to an agreed plan. 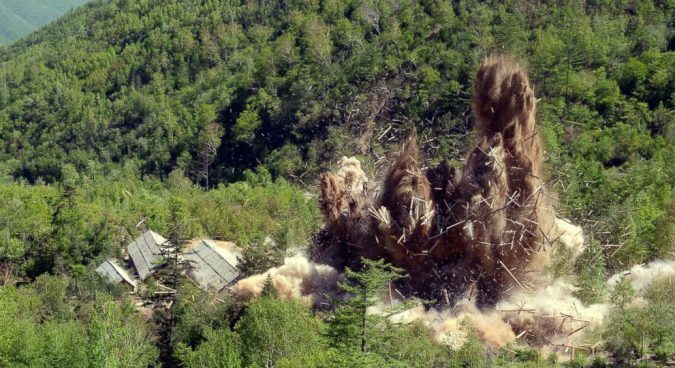 If there was an agreed plan, they may not start with Punggye-ri test site because they can always use another test site – it’s a matter of digging holes. NK News: In the Pyongyang Declaration, the North also expressed its willingness to permanently dismantle the Yongbyon nuclear facility in exchange for corresponding measures in accordance with the June 12 US-DPRK Joint Statement from the U.S. – what could be corresponding measures that North Korea might ask for? Christopher Hill: They don’t need to do this in the press. They need to sit down and tell Pompeo that, and then make a specific request on the U.S. side. I think it should something significant from the U.S. side. I don’t know what it is, but that’s a real active denuclearization, I think it needs to be balanced against a real active sanctions relief. If you really dismantle Yongbyon and then have international inspectors there, that’s real. NK News: Do you consider that the measures Pyongyang has taken so far are not part of a genuine comprehensive denuclearization process? Christopher Hill: Yes. It’s not the agreed plan. I don’t think that they should get to make random acts of denuclearization. I think the acts of denuclearization need to be agreed. I would think that they should shut down the means to produce fissile material. I would do that before the Punggye-ri test site. The Punggye-ri test site would only be important if they were planning a nuclear test and then they say, “we cannot have the test because we’ve shut down the test site.” I don’t think that’s how it works. NK News: When compared to the period you were involved in nuclear negotiations as a chief nuclear negotiator, do you believe that North Korea is demanding more or less in return for denuclearization than it did? Christopher Hill: I don’t know. We have to ask them. What do they want? What do they want? I don’t know the answer to that question. Do they want economic assistance? I suspect they want more. I suspect they want something on the non-nuclear side of security. I believe that they probably want us to pull our troops out of South Korea. But it doesn’t matter what I believe, it is a question for them. What do they want? I don’t know what they want. We need to get into a negotiation. We shouldn’t be guessing what they want, we should be asking them what they want. 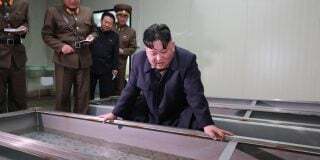 We should say: “look, if you dismantle Yongbyon, if you dismantle your highly enriched uranium, what do you want from us?” That’s the question. I don’t know the answer to that. And if they say, “we want your forces off the Korean peninsula”, my answer would be “no.” If they say, “we want more economic assistance”, I would say, “yeah, let’s talk about that.” If they say “we want you to reduce exercises with South Korea,” I would say “okay, let’s talk about that.” But to withdraw our troops from South Korea, to me, is not acceptable. NK News: Do you think that the Trump administration is moving in the right direction on North Korea? Christopher Hill: I would like to see a more comprehensive diplomatic architecture, and I don’t see it right now. China is a historic ally of North Korea – whether they should be a historic ally or should not be, the fact is they are a historic ally. China is not going to sit around waiting for the U.S. to give them a report of what their meeting is or what their agreement is with the North Koreans. China needs to be a part of that. I think, to suggest that China is just a by-stander waiting for the U.S. to finish this, is a lie. NK News: Some argue there is a need to build a multilateral framework to curb the influence of North Korea. After the failure of the Six-Party Talks, do you think this is still true? Christopher Hill: It wasn’t a failure of the process, it was a failure of North Korea to honor the process. So I don’t say it’s a failure of the Six-Party Talks and therefore we need to try Two-Party Talks. That doesn’t make sense to me. It’s not a matter of the process, it’s a matter of whether North Korea is prepared to take these measures. They say they are, and if they are, they should be prepared to do it at a multilateral context. 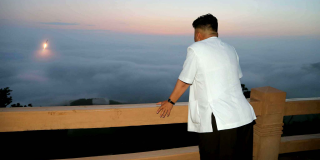 NK News: Was the fundamental cause of failure back in the 2000s Pyongyang’s failure to keep its promises? Christopher Hill: Yes, yes, yes. If the problem were that they didn’t get enough sanctions relief from us, they should have asked for it. They never asked for more. What they did was they said they would do away with all their nuclear weapons and they did not even declare what their highly enriched uranium program was. And then they wouldn’t give us verification. So they were asking for a kind of exceptionalism to our verification regimes that are accepted the world round except by the North Koreans. North Korea cannot claim some kind of exceptionalism. They need to understand that if they want to live in the world, they have to go by the rules of the world. I know the United States has been accused of not accepting the rules of the game, and I think every country needs to work on doing better, but the North Koreans need to work a lot harder because they are far removed from any kind of sensible and honest approach. NK News: To resume the multilateral framework negotiations, there would need to be agreement between concerned parties on sanctions. How can we make that breakthrough? Christopher Hill: Again, China is not going to be indifferent to what happens. China needs to be involved. We cannot presume that China will just wait on the side and wait for the U.S. to come and inform them. I don’t think that’s a realistic expectation. So, I’m kind of getting back to a multilateral framework – I know people don’t like the idea of Six-Party Talks, fine, I don’t care, but there needs to be some coordination. NK News: Do you then agree with the top-down approach to resolve the North Korean nuclear issues? Christopher Hill: I think there is some value having the President say “I believe in this,” but I don’t think that he should try to negotiate it. Unless he becomes a much better expert on nuclear weapons than I think he is, he should let his staff negotiate it. But if he wants to start from the beginning by saying “I believe in this and I’m committed to it”, that’s good. I’m just saying when I was doing it, not everybody in Washington was committed to it. I had a lot of people who opposed to it, but President Bush supported it, and I think President Trump supports it. But I think he should not then try to negotiate it himself because I don’t think he understands it. 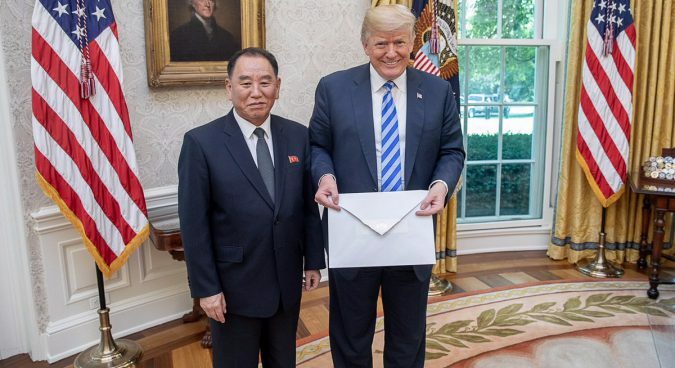 NK News: So do you think that President Trump has a lack of understanding of North Korean affairs? Christopher Hill: I wouldn’t say that, but I think his understanding could be improved. NK News: But he doesn’t have enough to take the initiative in nuclear negotiations? Christopher Hill: If he wants to meet with Kim Jong Un and say “we believe in this” and assure the North Koreans that President Trump actually believes in this, fine. But then he needs to turn it over and support his team. NK News: Trump has announced that he will hold a second summit with Kim Jong Un after the midterm election. Does this mean negotiations are going well? Christopher Hill: I don’t believe the negotiations have gone well and nor do I think there is any achievement yet, but I think it’s better that they negotiate than to be insulting each other through the media. NK News: My understanding is that Trump appears to be satisfied with the results of nuclear negotiations. Is there any risk that Trump may give up his goal of achieving complete denuclearization and make concessions with North Korea? Christopher Hill: You have to ask him. I sometimes don’t understand the things he says. And when he says something like “the nuclear threat from North Korea is finished,” I’m not sure I understand what he is saying. Neither does he. NK News: So you don’t have trust in Trump? Christopher Hill: I have trust issues, yes. Again, I think it is a good idea to talk to the North Koreans, but I think this needs to be tightened up – clear statements of what each side wants, clear statements of what the differences are, things like that. It’s very unclear. “I have trust issues” | Photo: Dan Scavino Jr.
NK News: From your perspective, did U.S. President George Bush have a clearer message, compared to Trump, on North Korea? Christopher Hill: We had the Six-Party agreement. China understood it, we understood it, the North Koreans understood it, the South Koreans understood it, the Japanese understood it, and the Russians understood it. That was clear. In Singapore, we had one page which looks like it was written in some kind of haste. I don’t understand it – it’s not well written. 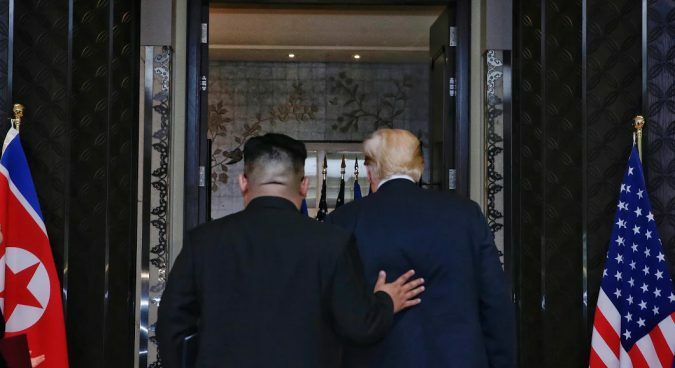 NK News: But do you think it’s still valuable that Pyongyang and Washington have reached an agreement on the denuclearization of the Korean peninsula? Christopher Hill: Yeah, I am all in favor of negotiation, but I think they need to be much clearer about each side’s obligations. Trump is continuing to say he will do nothing until there is full denuclearization, the North Koreans are continuing to say they will do nothing until there is full sanctions relief, even till today, that’s how they are talking. So there is obviously some problem there. NK News: North Korea has consistently said in recent weeks it wants “trust-building” steps from the U.S.
Based on your experience as a diplomat, what could be North Korea’s definition of confidence-building and how can both sides enhance mutual trust to facilitate negotiations? Christopher Hill: I don’t think the Trump policy of keeping sanctions in place until North Korea completes denuclearization is realistic. I think there needs to be a tight sequencing of actions by all parties. The issue is to work out what that sequence is. I think, for example, the U.S. should be prepared to start discussions on a treaty or a declaration, the U.S. should be prepared to do that provided the North Koreans are doing things on denuclearization. So, I think they can have much better sequencing. I don’t think the U.S. will be successful in demanding everything from the North Koreans before any sanctions relief, but I don’t think North Korea will be successful demanding all the sanctions relief before they do anything on denuclearization. NK News: So, what would be the best solution to break the deadlock? Christopher Hill: Work it out. Negotiate it. Sit down and say, “okay, if you do that, we’ll do this”. And then they say, “well, if we do this, you need to do this and this”. Then “okay, we’ll talk about that”. That’s called negotiation. But there is no negotiation, from what I can tell. There is just sort of general discussions. 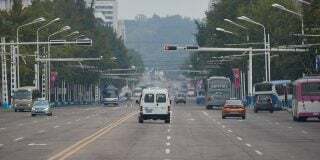 NK News: In terms of sanctions relief, South Korea appears to seek relief or exemption from sanctions to resume inter-Korean economic cooperation. 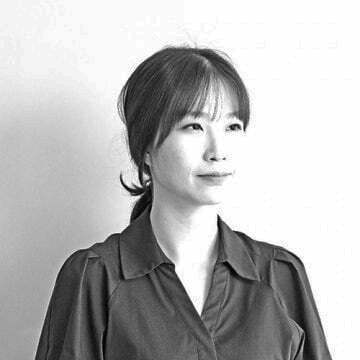 Seoul thinks that the resumption of economic cooperation can be a valuable political card to encourage North Korea to denuclearize. From your perspective, how might Seoul’s attempt to boost the inter-Korean economic cooperation affect the ongoing nuclear negotiations between the DPRK and the U.S.? Christopher Hill: I think there needs to be a better understanding of the scope and pace of peninsula talks. The South Koreans seem to have ambitious plans in this regard. I think they need to make sure there is an understanding between the U.S. and South Korea. 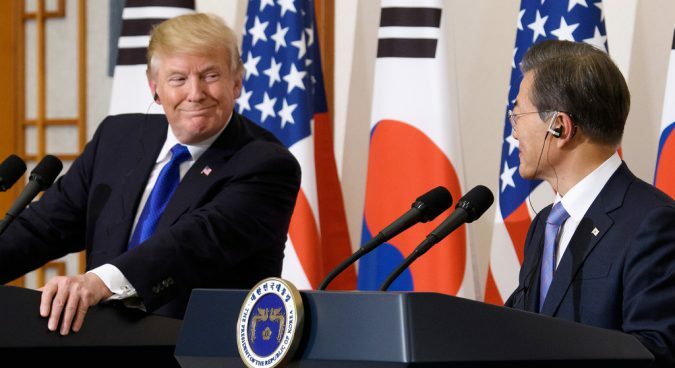 It’s not that the U.S. decides this, or South Korea decides this, but I think there needs to be some better understanding on what they are doing and some better connection between the peninsula talks they are doing and the denuclearization talks. Again, I think the Americans need to be very respectful of the bitter history that’s divided this peninsula. At the same time, we all need to understand that the alliance has been a very good thing for both countries and when we take actions, we should do so in a way that strengthens that alliance. NK News: Before the fifth inter-Korean summit, President Moon had said that he hoped to enhance his role in facilitating DPRK-U.S. nuclear negotiations. Do you believe President Moon’s mediation has helped? Christopher Hill: I’m more interested in President Moon as an ally rather than as a mediator. I don’t think there should be a need for a mediator if the ROK and the U.S. are together in the negotiations. I would like more effort to multilateralize the talks and include South Korea in real time in the talks. NK News: It seems that there have been some inconsistencies between Washington and Seoul concerning North Korean policy. Do you believe that there has been decoupling in handling North Korean issues? Christopher Hill: I don’t know what the Trump policy is. He says one thing, John Bolton says another, Pompeo says something else. I don’t know what the policy is and I think that’s a problem. NK News: You just mentioned that there has been no consistency among the key officials in the Trump administration over the North Korean policy, what could be the ramifications of the inconsistency between the officials? Christopher Hill: I think when there is inconsistency, there is also confusion. 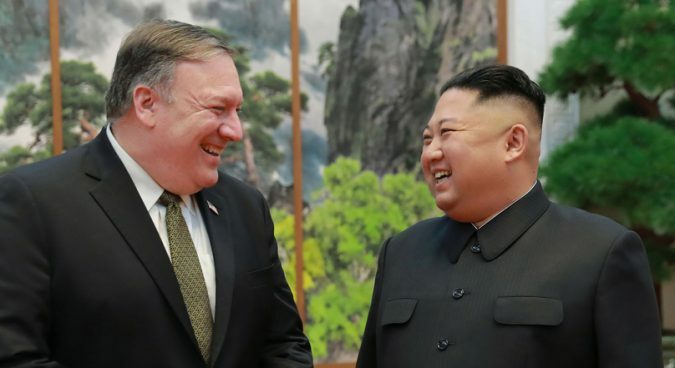 I think the North Koreans, when they sit down with Pompeo, should be able to say “if we denuclearize, if we get rid of all of our nuclear weapons, get rid of the fissile material, we need to know what you would be prepared to do”. That’s a fair question. And we need an answer. I don’t know what the answer is because I’m confused too. Pompeo is saying one thing, you’ve got Bolton saying another, and you’ve got the president saying lots of things. NK News: When you worked for the Bush administration, were no inconsistencies between key officials? Christopher Hill: We had problems, but nothing like today. NK News: And were North Korea’s demands much more clear when compared to today? Christopher Hill: Yeah, because we had a piece of paper that was written in English and the paper said: “North Korea shall abandon their nuclear programs and nuclear weapons and return, at an early date, to the Non-Proliferation Treaty” – very clear. NK News: But what was the most difficult part when you were engaging in nuclear negotiations with North Korea? Christopher Hill: They seemed to want things until they didn’t want things. It was always difficult to see what their strategy was. I was told by the Chinese that they wanted to have interest sections – that is, not embassies, but North Korean offices in Washington and an American office in Pyongyang, which is what we did with China in 1972. And they said “no, we don’t want that”. So I went back to the Chinese and said “I thought you said that they wanted it” and the Chinese said “well, they did want it… I guess they changed their mind.” So that was a problem.